Next month, celebrate the positive impact migration has on Sheffield as the bigger and better Migration Matters Festival returns to the city for Refugee Week. From 19 to 23 June, you’ll find venues across the city hosting over 40 events in celebration of Sheffield’s international community. The five-day festival aims to unite people through the enjoyment of an eclectic mix of international and UK artists, spanning music, film, theatre, dance, spoken word, fashion and of course, food. Now in its 20th year, Refugee Week has celebrated the various contributions, creativity and resilience of refugees across the UK. 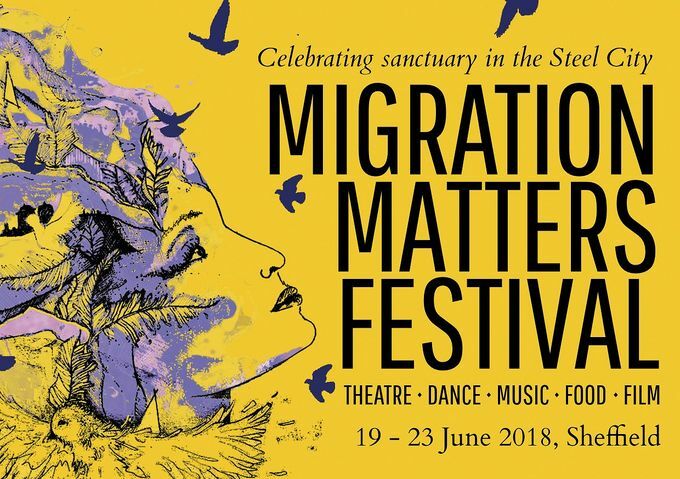 Migration Matters Festival will celebrate this and more in the city-wide event and will take place across an extended list of venues across Sheffield, spreading beyond the city centre. The line-up for this year will include the Sheffield Carnival at Norfolk Park, the Ubuntu Fashion Show and Food Event, the award-winning father of ‘dub poetry’ Linton Kwesi Johnson, and the Arab Puppet Theatre Foundation from Lebanon. There’ll also be six exhibitions running throughout the festival, as well as numerous workshops covering topics including storytelling and activism. The opening party on 19 June will offer a snapshot of just what you can expect from the week, including Kuo-Shin Chuang Pangcah Dance Theatre from Taiwan, delicious food from local charity Open Kitchen Social Club and live music from The Turbans at the festival’s hub, Theatre Delicatessen. Fancy getting involved? You’ll find the full line-up and more at www.migrationmattersfestival.co.uk. All events are pay as you feel so that the festival is open and available to all. Tickets can however be reserved for most events through Tickets for Good.